These are glass Czech intaglio cabs. These intaglios feature a sailboat. The cab is round and is domed. These measure 18mm. You will receive 2 of these. Excellent quality and condition. Fast & safe shipping. Very pleased repeat customer. Love these sailboat intaglios, and the whole order of cabochons is really great. I enjoy using them in my art pieces. These are like new and wonderful items. thanks. Awwww. Just love these. Glad to see you have some left. In great condition. 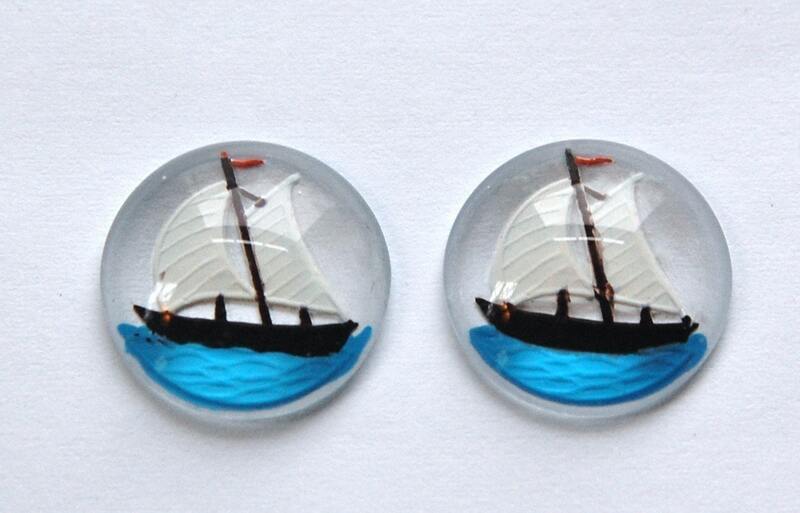 Very attractive sailboat cabochons I just had to own. Now I do!